DL: How has the tour and new album been received? 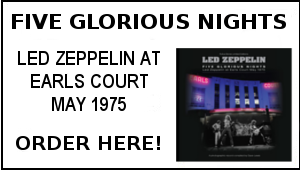 DL: The first three Led Zeppelin re issues are due in June – it must be of great inspiration to the family that John’s legacy is going to be lauded all over again yet again? DB: Yes absolutely and what I love about it is that it’s also reaching new younger kids. It’s also great that it’s on vinyl too. I’m releasing the Spirit album on vinyl. I just love that the whole vinyl sound and I love the idea you have an album split in two and you can spend ages with side one and then get to side two weeks down the line. It’s like having another album. But yes it’s great that the reissues are bringing it to a new generation. John, for me and my family is always there and constant through the music. 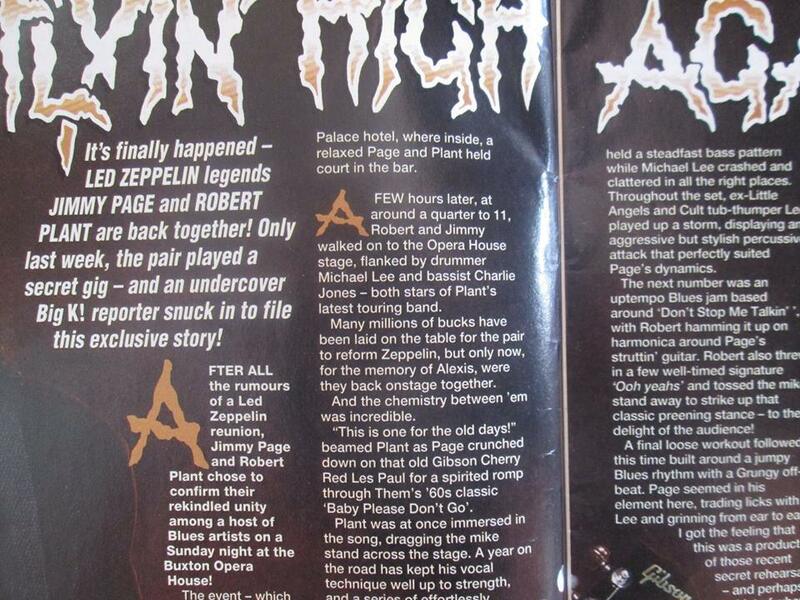 DL: Can you recall first hearing Led Zeppelin I? DB: Oh Yes. I loved Dazed And Confused and Good Times Bad Times. My girlfriends used to come around the house and I’d make them dance – it was always the bit in Dazed and Confused where it speeds up and we’d be going mad! DL: What do you think these albums stand the test of time so well? 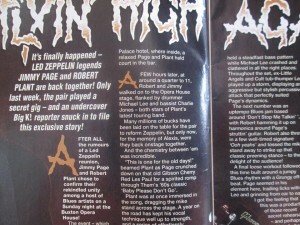 DB: In a nutshell – it’s incredible playing, it’s incredible writing, its innovative and its powerful and its emotional. The moment you put on a Led Zeppelin song and an album like Led Zeppelin 1…the drum pedal and everything – it’s just incredible. DL: What made John such a special musician? DB: I think you are born with it. It’s about the soul and the passion and you’ve got to be able to bring that to the stage and to the instrument you are playing and that is what John did. I’ve seen technically brilliant drummers and singers who can hit it note for note, and guitarists too …but where is the passion? Where is the soul? I would rather here a bum note if I know they are going for it and there’s the passion and excitement in the playing. 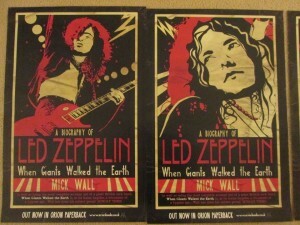 That is what Zeppelin had and it was never a dull moment. It was never so perfect – it’s what is within you that allows you to bring that passion and emotion to the instrument – be it drums, guitar, bass. It was the four of them and they were all individually stunning musicians. DL: Which Led Zeppelin track most reminds you of John? The classy Stables venue in Milton Keynes played host to the Deborah Bonham Band on a lovely spring evening. The framed Free and Paul Rodgers posters in the foyer proved to be somewhat appropriate again as the support act Jasmine is the daughter of Paul (last year it was brother Steve Rodgers in this same slot). Jasmine’s delicate acoustic and ukulele picking framing a set of promising songs in the style of Suzanne Vega. 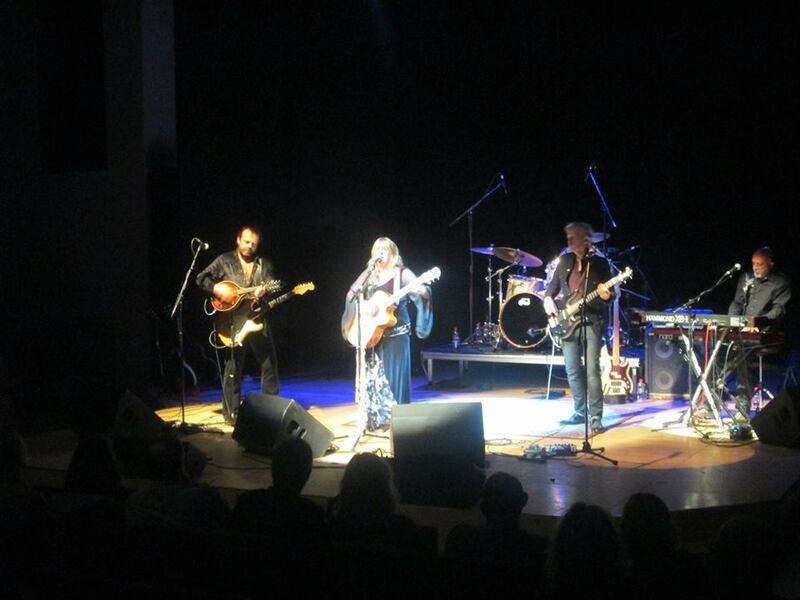 Fresh from a date in Callac, France, the Deborah Bonham Band took to the stage they last graced exactly 12 months ago. As Deb mentioned, they were back at her favourite venue. Kicking off with What it Feels the set was a combination of songs from the new album Spirit mixed with old faves and selective covers. As usual it was great fun spotting the Maggie Bell and Janis Joplinesq traits of Deb’s vocal swagger but within all her influences, she always retains her own identity . There was no finer example of that than the performance of I Need Love. Before hand Deb explained that this was her take on an Otis Redding style arrangement and sure enough the lady packed in all the required phasing of the Stax soul master, whilst also bringing her own sense of soul to the song. It was a masterclass in controlled vocal emotion. Behind her, the band jelled with the knowing authority of consummate musicians – guitarist Peter Bullick adding understated lead embellishments in the Kossoff vein. Take Me Down, Pain Birds and Fly were welcomed live renditions from what just might be her best album to date On the home straight, The Old Hyde pressed all the familiar emotive buttons, and Lorraine Ellison’s Stay With Me Baby was sung with genuine passion and verve. 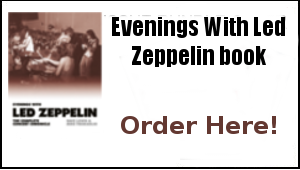 Deb had hinted to me during our interview before the gig, that she might well give an airing to an occasionally played Zep classic – and sure enough there was the extra special treat of The Battle Of Evermore. No easy song to duet on but co-vocalist Gerard Luis matched Deb’s cries with much aplomb. Finally a rousing Rock And Roll that as ever, paid suitable homage to the family tradition. 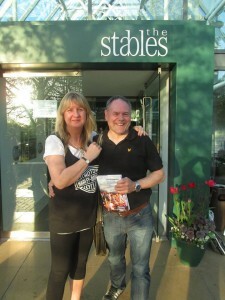 Being in the company of the Deborah Bonham Band is a failsafe recipe for inspiration. My advice is you get inspired at the earliest opportunity, because this particular spirit is flying well high…. This info via the official site: “Good Times Bad Times/Communication Breakdown (Live in Paris, 1969)” is now available for streaming on @spotify. Taken from the companion audio that will be released alongside the remastered album in June. 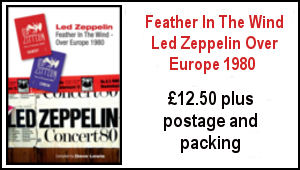 TBL archive special: 20 years ago on Sunday April 17th 1994, Jimmy Page and Robert Plant performed together for the first time in four years at a special memorial concert for Alexis Korner. 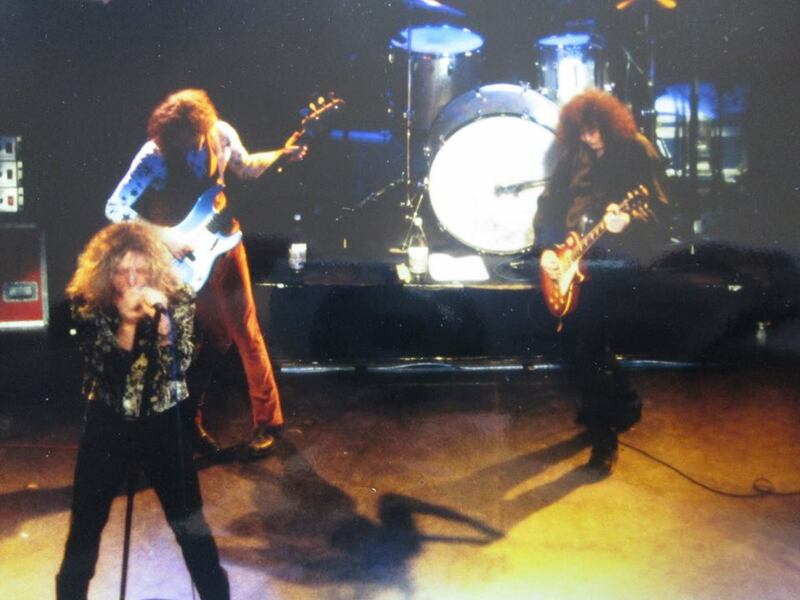 This was the first sighting of the newly reunited Page & Plant on stage -they were already rehearsing for their MTV Unledded project which would eventually see them perform two special shows at the London TV Studios on August 25th and 26th. Robert Plant had initially been billed to appear but the rumour mill was soon in overdrive that he would be joined by Jimmy. Ah the review…Alongside feeding back for TBL, I was reporting in it for Kerrang !then the main rock music paper and given the low key nature of the event I was billed as an ‘’undercover Big K! reporter’ – ooerr! And finally ’’At least two people haven’t played this song before’’joked Plant as Jimmy stepped on the wah wah pedal and teased out the intro to the classic Train Kept A Rollin’, a track Jimmy used to play with The Yardbirds before he formed Zeppelin and the same number that Zep used to open their set on their last tour in Europe 1980. Inevitably this one was met with a huge roar of appreciation and was performed with an irrepressible swagger that recalled so many past glories. And with that Page and Plant were gone..
You can see a professionally filmed clip of I Can’t Quite You Baby from the Buxton show below. 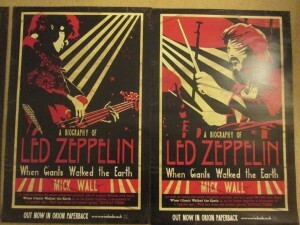 Unsurprisingly given the level of current Zep related activity, my plate is well and truly full in workload terms and whilst it’s great to be busy –the spinning of so many plates right now is a little tricky. 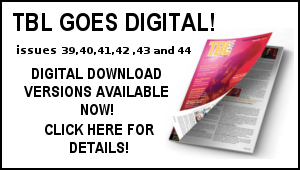 There’s TBL 37 to wrap and then market and distribute, a couple of other Zep projects with tight deadlines, another potentially big initiative – it’s all going on – but hey, bring it on I say because that’s what the good Lord put me down here for. Earlier in the afternoon there had been further emotion when I watched some of the 25th Hillsborough anniversary service from Anfield. The dignity and humility shown by so many touched by this tragedy was incredibly moving and humbling. 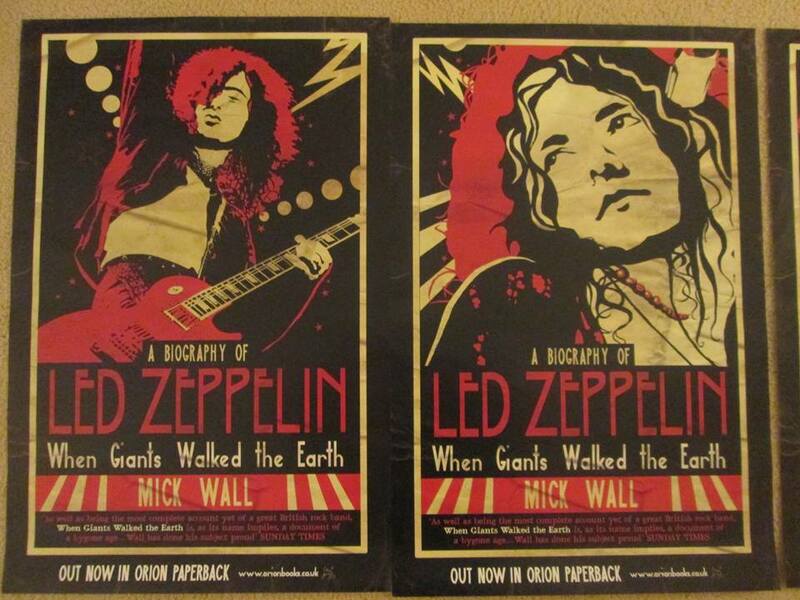 Last Saturday on a visit to St Albans I had a right result at Empire Records – acquiring a set of four promotional posters for Mick Wall’s Led Zeppelin When Giants Walked The Earth book via the very generous owner Derek –I’ve never seen these before and they make a great set…eye thank yew Derek! This Saturday (April 19th) is Record Store Day the annual worldwide event to celebrate the nation’s record stores – one of life’s absolute pleasures…as Nick Hornby put it record shops can’t save your life but they can give you a better one’’ – that was certainly the case for me during the 35 years I worked in record shops from 1974 to 2009. As usual there is an array of exclusive limited edition vinyl releases lined up to go on sale – in fact there has been some negative comments that this year there are too many RSD releases which is a fair point. 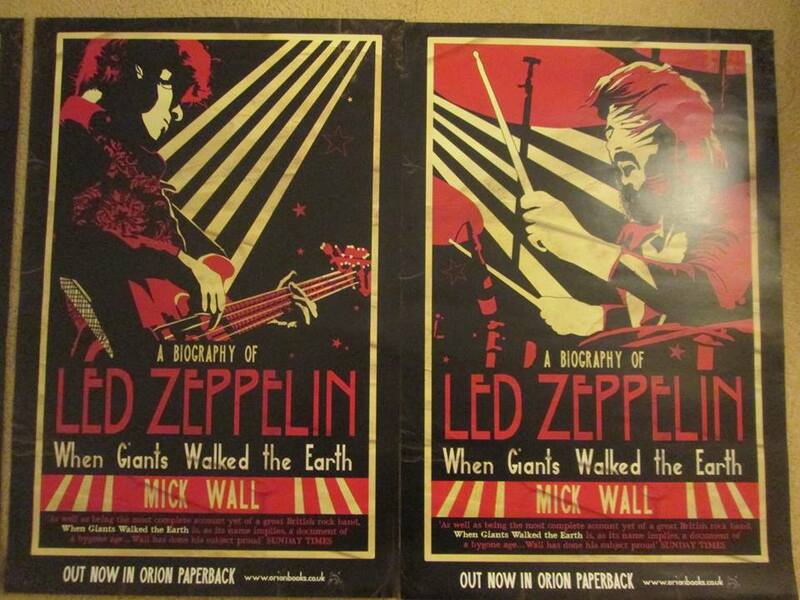 On the Zep related front, there’s the Jimmy Page & The Black Crowes 3 LP set and The Yardbirds Little Games reissue. On the playlist here – Deborah Bonham’s Spirit album, Led Zeppelin Paris 1969 broadcast bootleg, Roy Wood Boulders solo album, Humble Pie Eat It (thank you John P for the latter pair), plus the St Albans vinyl acquisitions of Maria Muldaur Southern Winds, Juicy Giants Fly label sampler, One More Chance Charisma label sampler and Glen Campbell I Wanna Live LP – all lovely stuff. Dave Lewis/Gary Foy – April 18th, 2014.